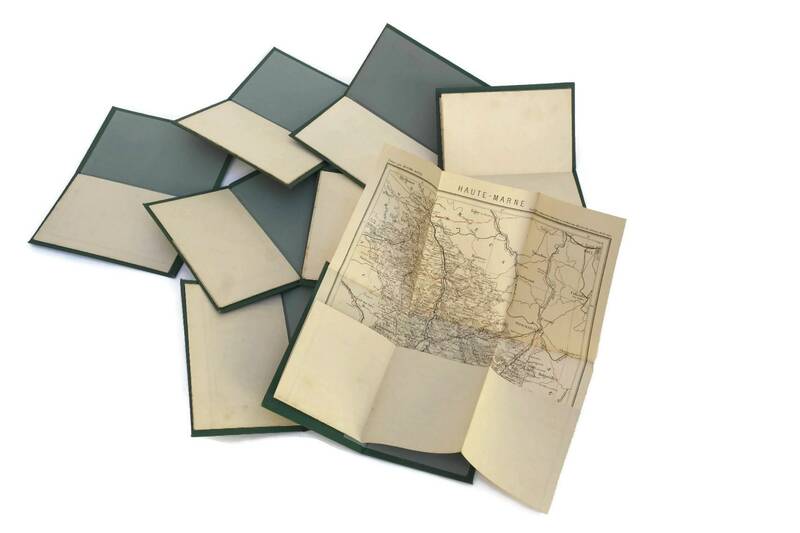 An old French road map collection by the cartographerAdolphe Joanne. 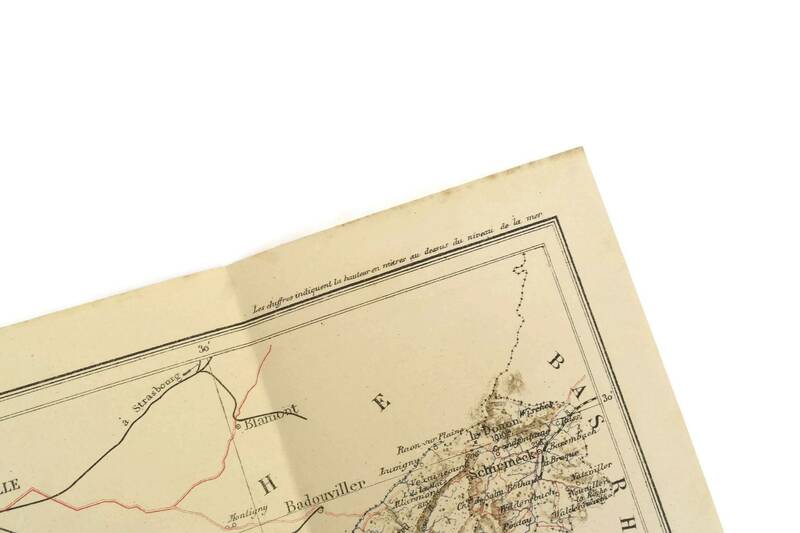 The antique folded travel maps feature detailed atlas prints and date to the late 1800s. 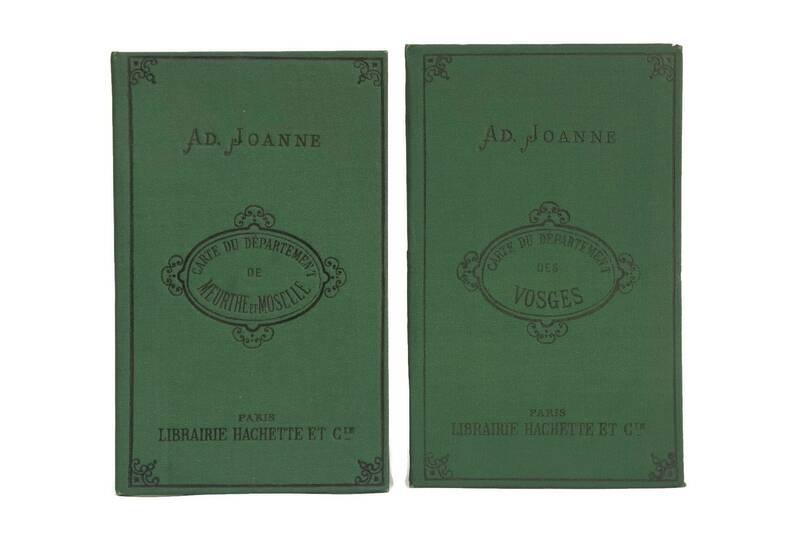 Each small booklet has a map of a different department of France and features detailed road and rail indications. 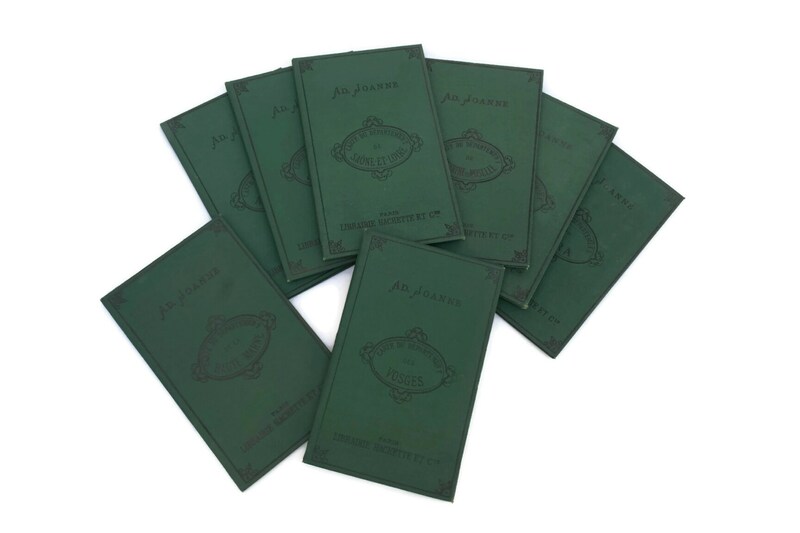 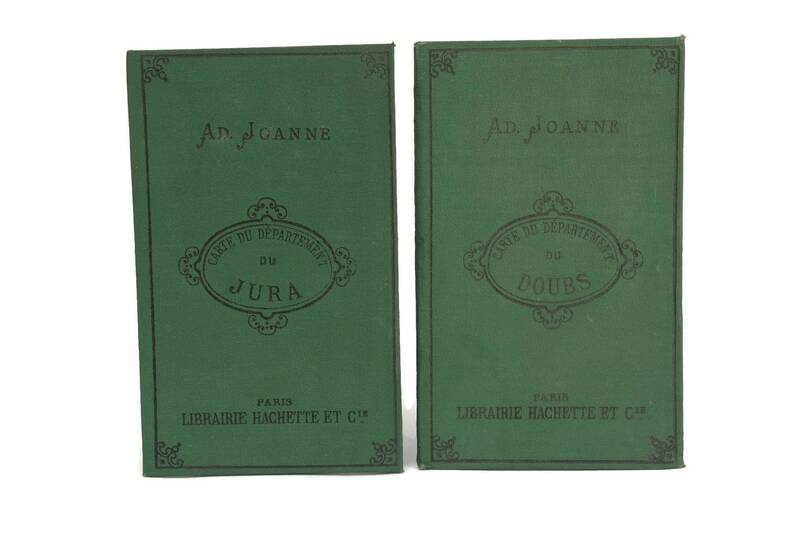 The set of 8 antique maps were published by the famous Librarie Hachette company and come presented in a dark green hard cover. 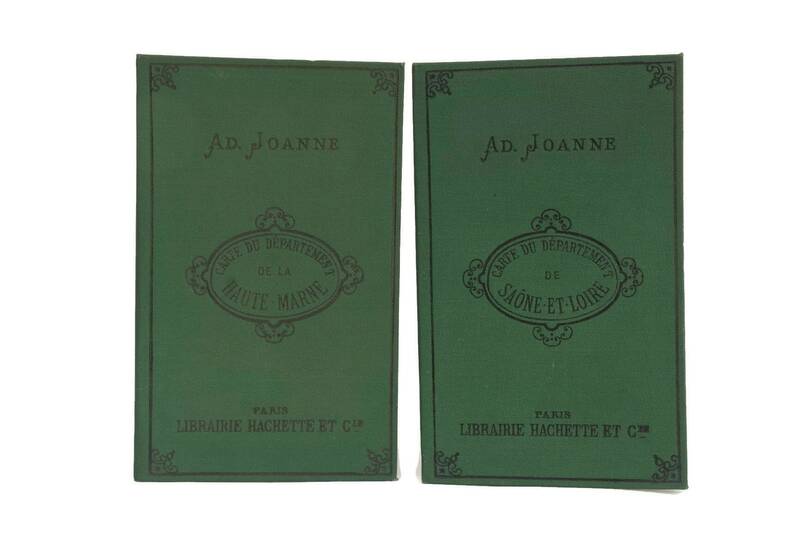 Once folded, they are the perfect size for a pocket. 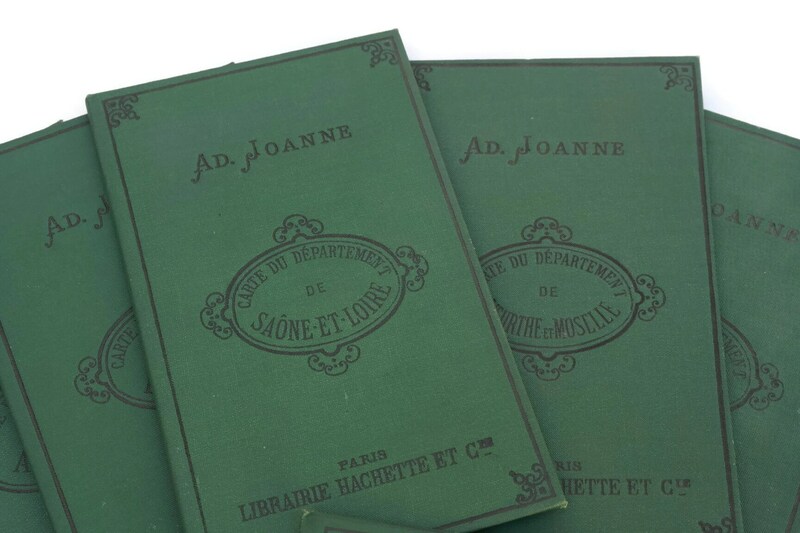 The 8 French maps include the departments of: Ardennes, L'Aube, Doubs, Haute-Marne, Jura, Meurthe & Moselle, Saone et Loire and Vosges. 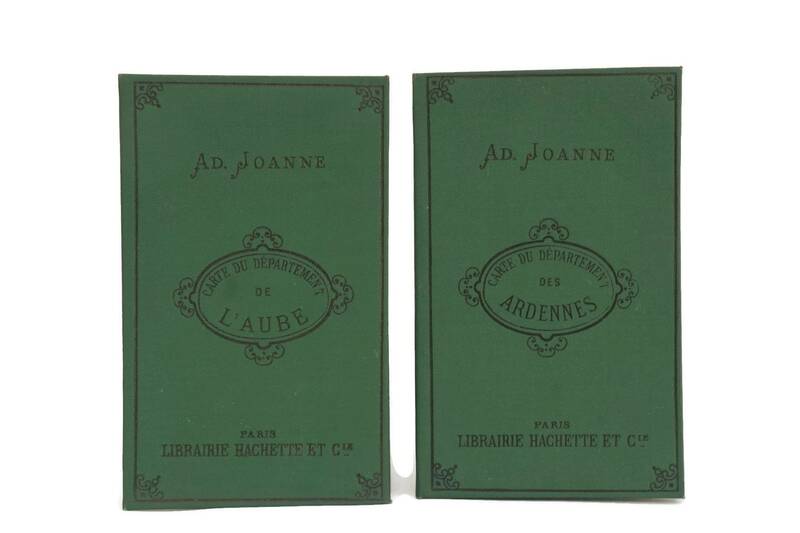 Green booklets: 5.75" tall x 3.5" wide (14,5 cm x 9 cm). 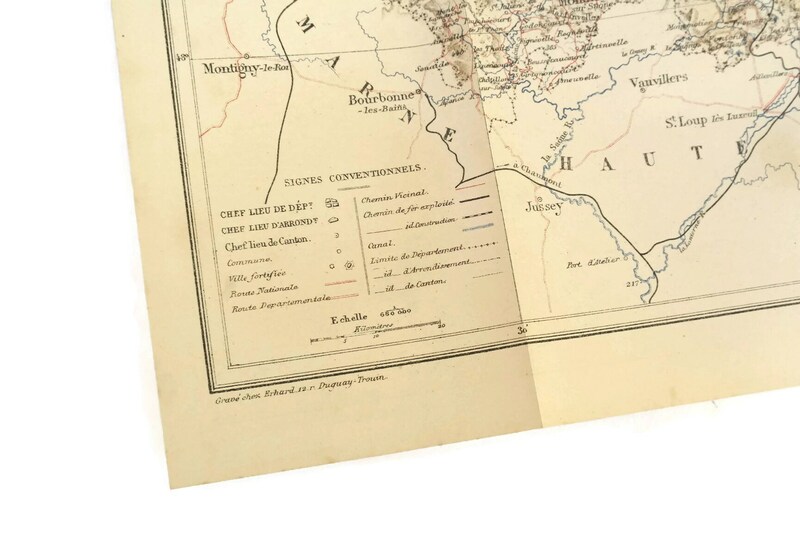 Printed maps: 10.5" tall x 13" wide (26,5 cm x 33 cm). 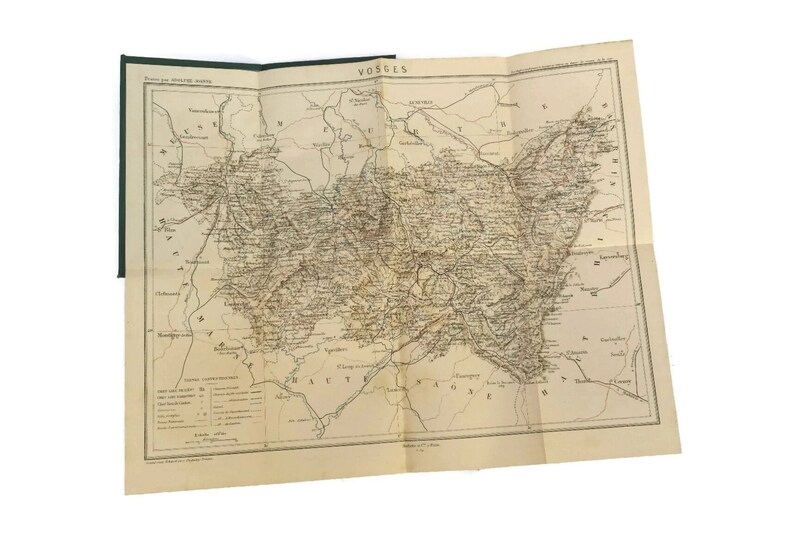 The antique collection of road and travel maps is in very good condition with light signs of age and wear.